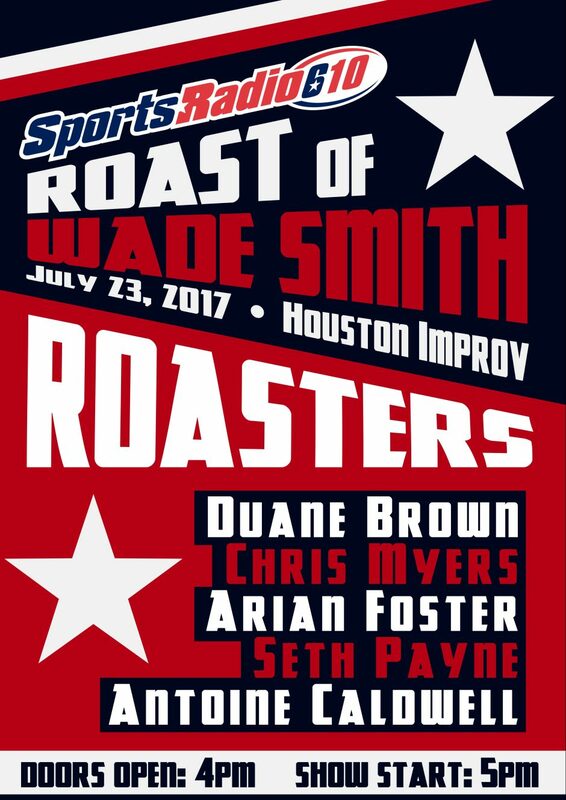 We're going to be roasting former Texans offensive lineman Wade Smith on Sunday July 23rd at the Houston Improv. 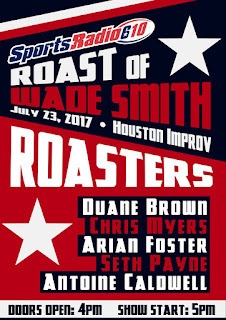 Featuring roasters like Arian Foster, Duane Brown, Chris Myers, and our own Seth Payne, it should be a whole lot of fun. Plus, it helps benefit the Wade Smith Foundation supporting literacy programs. 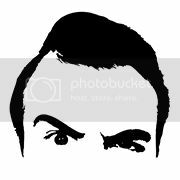 For more info go to SportsRadio610.com.